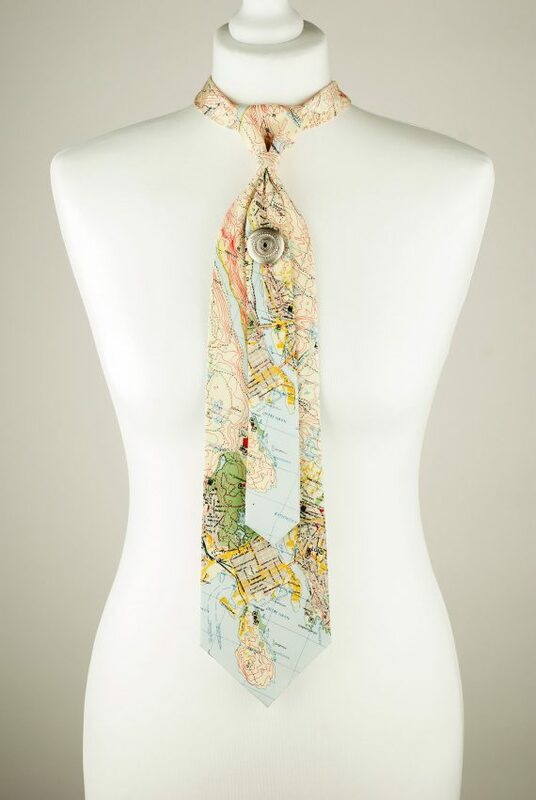 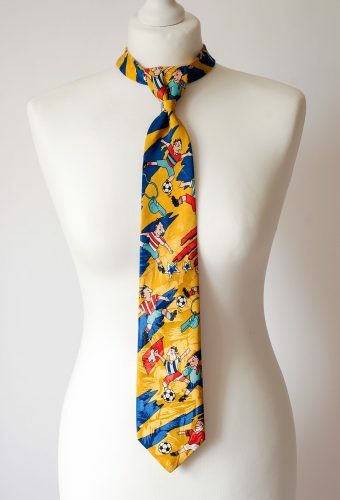 Map Pattern Necktie Handmade from a Vintage Tie and Decorated with a Fancy Vintage Style Button. 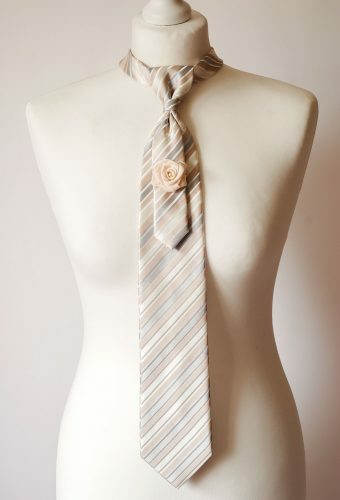 It’s Pre-Tied and has a Hook and a Slider Closure at the Back. 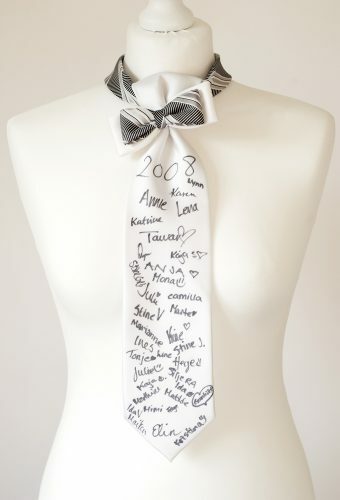 For a Stylish Gentleman Lady Who Dares to Be Different!